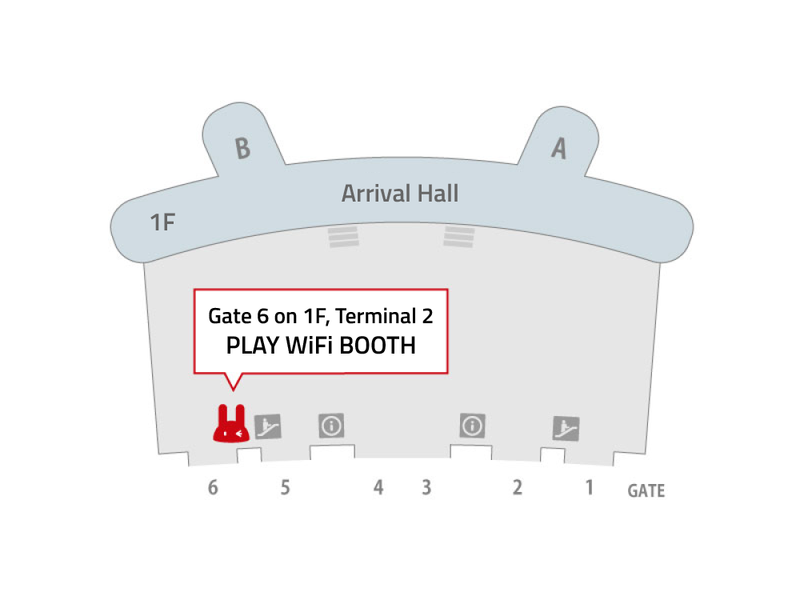 Find the “PLAY WiFI” Booth at Gate 6 on the 1st Floor of Incheon Airport Terminal 2. Please refer to the above picture to see where the booth is. 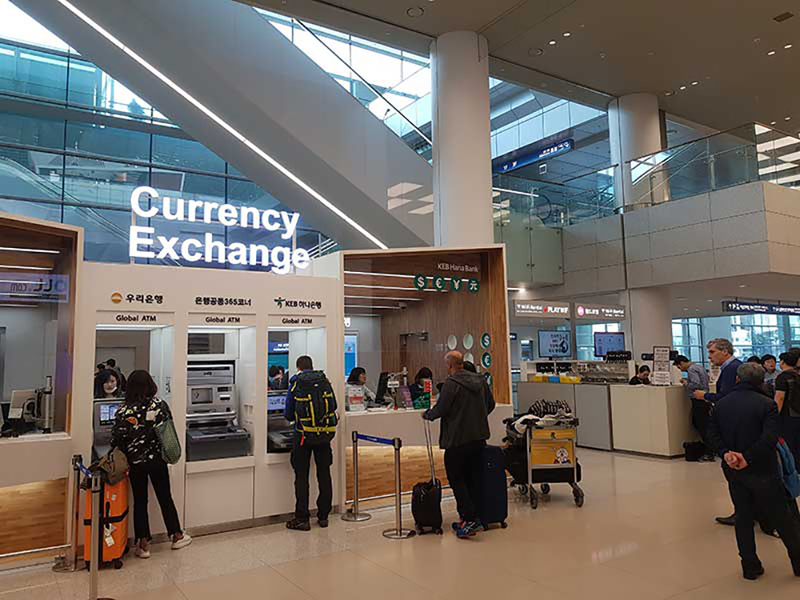 Please keep in mind that Incheon Airport Terminal 2 pocket wifi pick up is not the only option. We have other various places you can pick up. 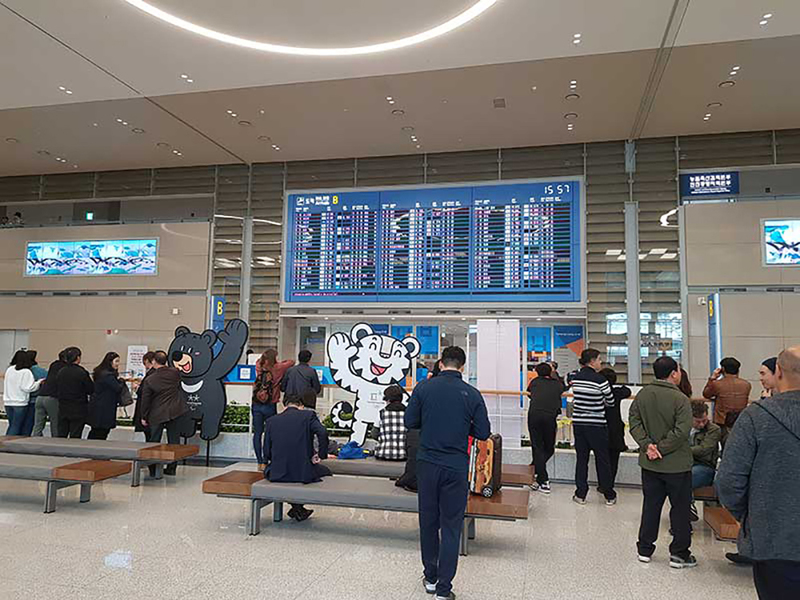 Please check the below locations if you will not be arriving in Korea through Incheon Airport. 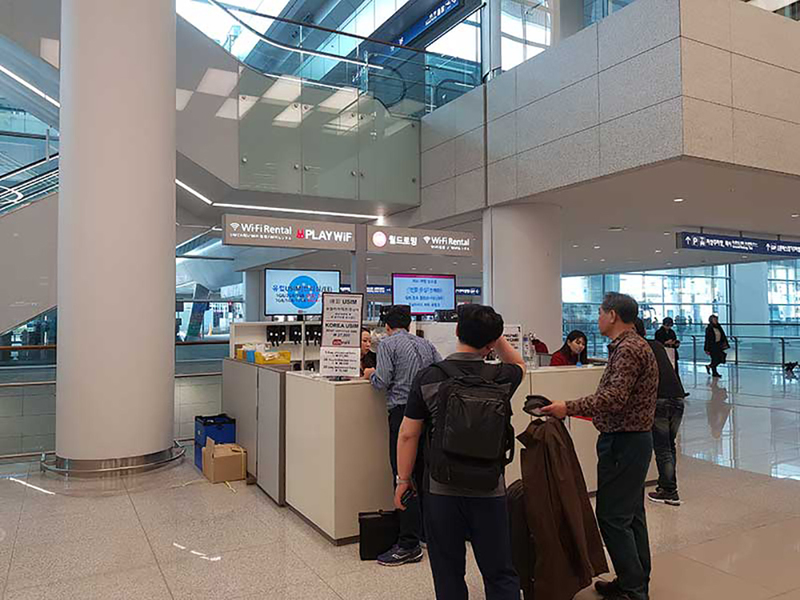 This is the page for Incheon Airport Terminal 2 Pocket WiFi Korea.